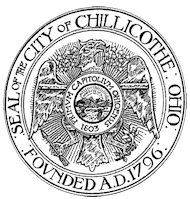 The Court is located at 95 East Main Street at the intersection of Main and Mulberry Streets in Chillicothe, Ohio. There is limited parking in the Court parking lot. Please enter the lot from Mulberry Street. On-street parking is also available on Main Street and Mulberry Street adjacent to the Court.